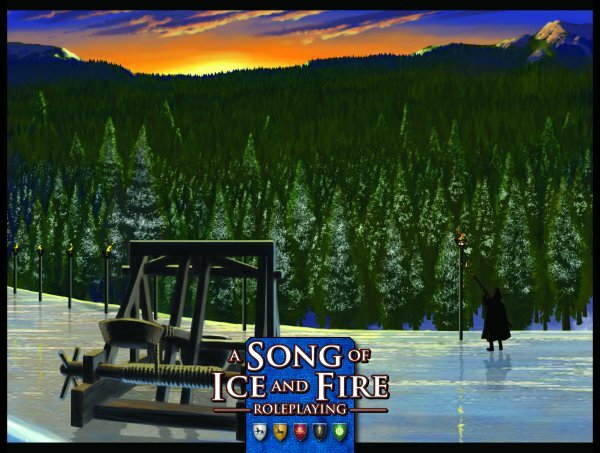 As a narrator you have your hands full when running the game, but that just got easier with the Song of Ice and Fire Narrator's Kit. This handy accessory features a 3-panel hardback screen with useful tables and charts on one side and a beautiful illustration of the Wall on the other. The Narrator's Kit also includes a full color poster map of Westeros and a 16-page introductory adventure by Steve Kenson. Get your campaign ready to go with the Song of Ice and Fire Narrator's Kit. Honorable Mention for Best Aid or Accessory in the 2010 ENnie Awards.